I woke up this morning to find that my account had been disabled. I haven't done anything wrong to my knowledge, and I keep my Scroll hidden so I can't see if it's been burned. I don't know why it would be, or what I can do about this problem. Can someone help me with this, or should I PM TJ directly? Edit: I feel like I should have received a PM, or at least an E-Mail about this sort of thing, rather than my account being flat-out disabled without ever even discussing whatever issue had arisen. 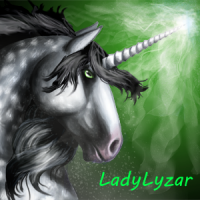 I'd message a mod like Lady Lyzar or purpledragonclaw. I sent a PM and have been waiting for a reply. Hopefully I get one soon. I keep my Scroll hidden because I usually stay up late and hunt if I have space, and I either gift my catches or trade them. I've had a few incidents where my dragons were viewbombed, and it's not fun. I've never seen anyone's Scroll that was hidden and then burned, so I really don't know what's going on either. I name my dragons carefully, so I shouldn't have named them something bad. I really don't quite know why this happened. You pick up the scroll labeled “HopSketch456,” only to find that it is charred and impossible to read. So, yes. I couldn't find anything to indicate why (scrolls are not burned for inappropriate names - the most severe action there is losing naming privileges entirely) so TJ would have to answer this. The reasoning is either multi-scrolling or otherwise cheating. Talk to PDC or Lady, they may be able to poke. Thank you. I really hope I can get a reply from someone. I haven't done anything wrong, and I'm not sure why they would think so. Turning off comments at this time as this is something that users cannot help with. I'll take it to PM.